Conquering unchartered waters and environments, achieving goals and giving back has been the life work of Dr. Jacqueline El-Sayed. As a professor, newly elected Bloomfield Hills school board member, wife, and mother of three, Dr. El-Sayed wears many hats. One would wonder how she finds the time, between running her first campaign for public office, teaching, and family life, but Dr. El-Sayed says she’s an energetic person by nature. “My mother said I was born with a lot of energy” said Dr. El-Sayed. She has channeled that energy to break stereotypes, achieve great goals, and give back to her community. She inspires people to dream bigger, push the limits, overcome obstacles and achieve whatever goals one sets for one’s self. Born in Lansing, Michigan, Dr. Jacqueline El-Sayed is a professor of mechanical engineering and the Richard L. Terrell Professor of Excellence in Teaching at Kettering University, recognized for educational excellence. “I believe that teaching is a type of calling, and individuals who dedicate their lives to education leave a legacy to the world through their students.” Dr. El-Sayed said. The fields with in science, technology, engineering and mathematics (STEM) have few women and mechanical engineering has among the lowest percentage, so Dr. El-Sayed had few women role models while pursuing three degrees in mechanical engineering, and while on the faculty tenure track. But, in spite of this, she became the first woman in the history of her university to gain a positive recommendation from the Department of Mechanical Engineering for full professor, the highest faculty rank. In the year that she was promoted, Kettering University reported that only one percent of all full professors of mechanical engineering in the country were women. In addition to teaching and scholarship, she has served the university as the elected leader of University faculty senate, a member of the University promotion committee and the chair of the University-wide Planning and Assessment Council. Dr. El-Sayed also dedicates significant time to giving back to the State of Michigan, “I do so because I am saving lives through traffic safety,” she said, “our goal is that everyone who uses our Michigan roadways arrives at their destination safely.” She is a four time gubernatorial appointee to the Michigan Truck Safety Commission, representing all four year colleges and universities. 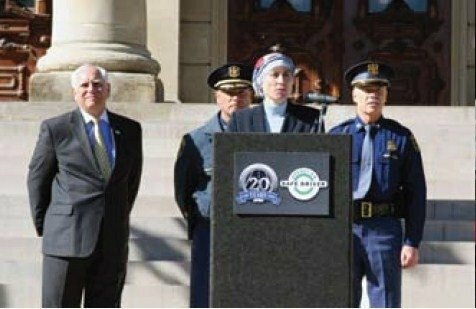 As a commissioner she has distinguished herself and twice was unanimously elected chair, nominated by the Commanding Officer of the Michigan State Police Traffic Safety Division. She also chaired the Drivers Education Advisory Committee for former the Secretary of State which provided the recommendations for the Driver’s Education Providers and Instructor’s Act of 2006. Similarly, she also chaired the Motorcycle Safety Advisory Committee; legislation based upon this is pending. As a Muslim woman, Dr. El-Sayed has broken many stereotypes and barriers for all people regardless of gender or religion. Her commitment, energetic personality, and leadership skills were recognized by her community. Dr. El-Sayed has always been a person seeking to give back and contribute to the society around her, but running for any public office never crossed her mind–not until her community-members asked her to run. They saw in her the requisite intelligence, passion, and leadership skills, she continuously displays in all of her work. Dr. El-Sayed eventually agreed to take on the bold task of forming a campaign and running for public office for the first time. Being a Muslim woman who wears the hijab, Dr. El-Sayed said one of her biggest challenges was getting over the fear and apprehension of how she thought people might react to her, “I wasn’t sure if a Muslim woman could win”, said Dr. El-Sayed; but if she could, it would serve as inspiration for others to dream big and think outside of the box when reaching for goals that they may have deemed “out of reach”. Maybe it was divine providence leading up to this moment in which Dr. El-Sayed was nominated for a highly competitive national recognition: the American Council on Education Fellows program, a fellowship offered to those in the field of education who have shown great leadership abilities. The fellowship was geared to professional development, and could be likened to a MBA for those working in education. She was interviewed in Washington D.C. by five different university presidents before being accepted. This fellowship emphasized skills such as financial management, strategic planning, and public speaking. It was all in God’s plan that she went through this fellowship to develop the needed skills which would play a crucial role in her campaign for school board. Dr. El-Sayed’s campaign committee was led by Muslim women just like herself. Active women who wanted to make a difference and contribute to their communities. This campaign led and run by Muslim women gives a stark contradiction to stereotypical ideas about Muslim women being oppressed and disempowered. “My family is very supportive of my work… I also have a very tight knit group of friends” said, Dr. El-Sayed when asked about balancing her busy work and family life. Dr. El-Sayed and her staff ran a victorious campaign inspiring women, Muslims, and all people to not give in to self-doubt but to face your fears and dream big. Dr. El-Sayed has had positive interactions with her fellow board members and parents. She has said “I enjoy being a part of my community; we are inclusive, everyone looks at people as individuals. God guided me to be in a place where I can succeed”, and succeed she did. 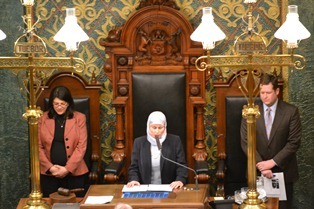 One of her most recent accomplishments was giving the opening invocation on the Michigan House Floor to open up the State House session. Feeling very “humbled to represent the Muslim community” Dr. El-Sayed gave a passionate invocation reminding the legislators and those in attendance of the unifying holy figures between the three Abrahamic faiths and that in times of difficulty, we seek God to overcome great hurdles. Through her life Dr. El-Sayed has consistently worked to improve the lives of those around her. As a gubernatorial appointee to the Michigan Traffic Safety Commission and two-time elected chairperson, having earned a PhD to become a professor at a premier engineering university to educate the minds of the future, and recently being elected and serving as a Trustee on the Bloomfield Hills Board of Education, Dr. El-Sayed puts her ideas, energy, and enthusiasm into concrete action for the improvement of society. “Change will only come by enacting our own principles; elected officials listen to those who vote; we should all be engaged in civic affairs and take action,” Dr. El-Sayed said, and take action is what she has done throughout her life with her passion, work ethic, and great achievements. God willing, she will inspire countless numbers more to do so, as well. NAJAH BAZZY is the founder of Zaman International, a non-profit organization. She is a mother, a wife, a nurse by profession and an active social worker. Her strong devotion, commitment, hope and passion has led her to help the needy since the Bosnian crisis in the early 90s. 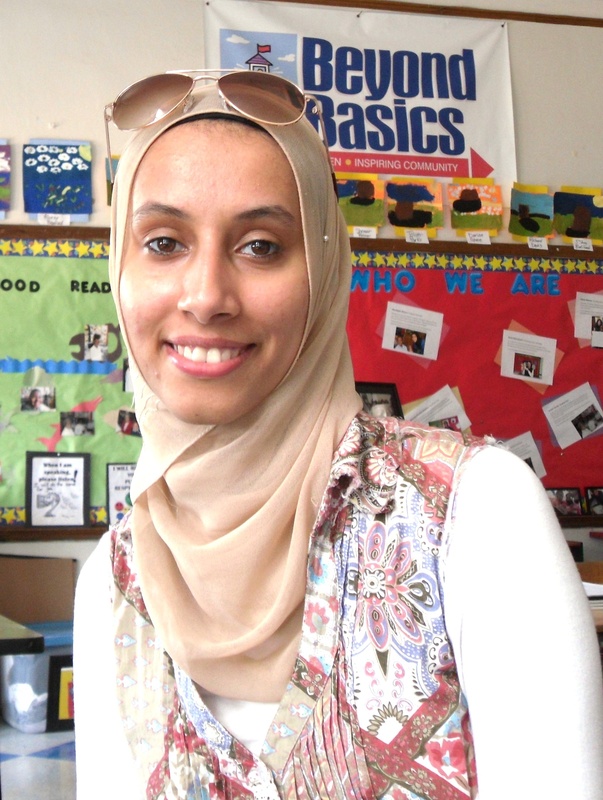 “I have always felt like you can do it all!” says Najjah. In addition to this Najah was on the front page of New York Times, USA Today and Glamour Magazine three years ago, she has also contributed to the documentary made on Prophet Mohammad by Alexander Kronemer and Michael Wolfe. She is a very eloquent speaker, trans-cultural nurse, a local TV show host and co-founder of YMA in her local community. Zaman International currently has five active projects, their major one is BOOST which is a program for women that are widowed, divorced or abandoned, are the least educated and in need help to move their lives forward. A generous Muslim philanthropist gave them the amount of money to start the education training program for these women. BOOST is a sewing for literacy program which teaches these women to sew to eventually use these skills as an extra income source for their family. In addition to that they are also given ESL classes by a teacher from Henry Ford Community College who has volunteered to donate her time and expertise for these women. Gail (Najah’s secretary) explains, “These women are part of the 200 families that we take care of, so we know their personal story, we know their situation, they have been qualified, we know their history.” The ultimate goal of this program is to get these women placed in facilities that really could use their service or to make them independent. “But we have to start small right now. Set up the class, get a commitment from them, get them going, see if they can make this happen!”, says Gail. However sewing for literacy is not the only aspect of BOOST program, the main objective of which is to empower women through education, vocational training and financial assistance. Therefore there are plans to expand this program in order to assist women financially into different fields like medicine, pharmacy and other professions. BOOST will cater to two areas, vocational training – sewing for literacy program and advanced educational placement. The advanced educational placement area, due to limited funds is currently assisting one student graduate from a College of Dentistry. Bait-al-Zahra – a program under which food, clothing and other necessities are dispensed to families in need. This program is connected to the BOOST program because it includes the 200 families that have been qualified for assistance. For this program Zaman International has a clothing bin outside of their office where people can drop off clothes and shoes. Zaman also has a pickup service available for household items such as kitchen ware, appliances, furniture etc. Plots for Tots -This is an infant burial program that provides financial assistance and other help needed by families who experience an infant death. Youth Enrichment – is led by youth for the youth. It includes volunteers, college students and other people from the community who organize and lead different enrichment programs for the youth. Zaman has also contributed to many international projects over the years by partnering with other humanitarian aid organizations like Red Cross. A few of their endeavors include providing assistance for the food crisis in Haiti, shipping medical equipment to Jerusalem, rising up to Bosnian crisis, providing medical and other assistance to Iraqi refugees in Gulf War and the list goes on. Najah believes in staying humble, which one can easily notice about her. When asked about where Najah would like to see Zaman in a decade, she answered, “The ultimate vision is that only God knows where Zaman will go. I have submitted, Zaman is not my project I am the servant and I had to teach myself how to submit to its personality, how to submit to its growth, how to submit to its own miracle that it is. Zaman I believe is in its developmental years, identifying its personality, and showing off its beauty. It’s able to define itself and its own place in the world and I remember doing that myself, trying to maintain Islam and my American identity and my Arab identity and who I am.” She realizes her role as a nurturing director, who would like to direct the activities of this newly founded nonprofit but does not believe in controlling it. Her ultimate vision is to institutionalize Zaman’s projects under one roof so that they can coexist in a campus like atmosphere that she calls “Medina Village”. In addition to housing all of Zaman’s current projects, this village will also have things that are needed in the local community such as a senior living center, rehab center, hospice and vocational training center. About choosing the name Medina Village she elaborates about her idea behind it, “Because for me as a Muslim American I believe in my heart that Medina-when I am in Medina, I feel so secure and at peace. I feel that Medina is the role model in the world for pluralism, peace, prosperity, religious cohesiveness, path finding, sustainability, kindness, care giving, sharing, everything is in Medina and so that’s where I got the name. What Islam has to offer America in terms of a moral landscape, in terms of the values, in terms of equity, I just believe that we could play the model here.” And it seems like she is already on the go, after acquiring her first office months ago and looking for a warehouse Najah breaks this news about her meeting a few hours ago, , “So today we have approved half a million dollar project! I think that challenge is always there and Allah tests you at every point but after every challenge there is a gift at the end of the day!” Najah is inaugurating this plan during this Ramadan. She believes that every one of us has a unique niche and that one first needs to realize that and then have faith. Her advice to people who identify with an unfulfilled need in the community and want to serve is to first pray, “By asking God to accept you to be His servant, the way He wants you to serve, not the way you think you should serve”, explains Najah. Secondly, she stresses on staying focused and optimistic. When faced by an obstacle or a challenge, it is important not to give up and not lose confidence, “You must have complete confidence in Allah without a shadow of a doubt because the shadow of doubt is Shaitan, who will knock you off of your focus.” She also thinks that humanitarian work can go hand in hand with any profession, if one has the desire and energy to commit to a cause. Ramadan around the corner means another occasion for Detroit’s Day of Dignity to provide the city’s needy with clothes, hygiene packs, food and health checks. The well-attended program is one of many supported by member organizations of the Islamic Shura Council of Michigan, or ISCOM. ISCOM, established in 2005, is a non-profit umbrella organization with the mission of providing coordination between and building cohesiveness among the Islamic centers, Mosques and organizations in Michigan. Ayas said the Council’s support of the Day of Dignity every year, and other programs like it, is important because those are projects that should belong to everyone and not one organization. (Sharmin Hakim/WSU student) Local youth volunteers at Day of Dignity 2009. Sharmin Hakim, a Wayne State University student studying education, said she’s participated in the Day of Dignity for three years and has never been to an event like it where there were more than enough volunteers. Charity being so pivotal to Muslims, Ayas said that many people sometimes feel they are getting pulled from too many directions when asked for their support. “We believe that our role also is to provide tools to help get all those projects together to streamline the process,” he said. Ayas said there are a couple meetings throughout the year where member organizations have the chance to hear and discuss proposals of support for new projects. Once a project is approved the Council will provide financial assistance as well as publicity. Some of the programs the Council supports are Michigan Oudhia/Qurbani, Muslim Family Services, HUDA clinic and the Michigan Food Pantry Program. Ayas said the Michigan Food Pantry Program is a Shura Council initiative with the goal of purchasing food for the use of various local distribution centers year-round. “This program is up-and-running due to the Shura Council network and leadership in this area,” Ayas said. For this program, the Council is partnered with Gleaners Community Food Bank, which works on distribution and approves distribution sites. John Kastler, vice president of Information System Services at Gleaners, said they welcome the Council’s support. “The ISCOM always works on distributing food throughout the year, as well as providing financial support,” he said. Kastler said they especially appreciate the lamb donations because lamb is a special item that they don’t get a lot. “The lamb donations are a wonderful source of protein,” he said. The donations are a part of the Council’s annual Oudhia program, which distributes lamb and other types of meat to needy families and soup kitchens across southeast Michigan. “I do believe we have a positive impact on the image of Muslims,” Ayas said about the Council’s work in the community. And it is, according to the Web site, a part of the Council’s mission to work for the betterment of all Muslims, to advance Muslim interests and to promote Islamic values. Abdulrahman El-Sayed, a self-described ambitious 25-year-old, has a passion for academia that has carried him from his native Michigan across the Atlantic to the University of Oxford as a Rhodes Scholar. 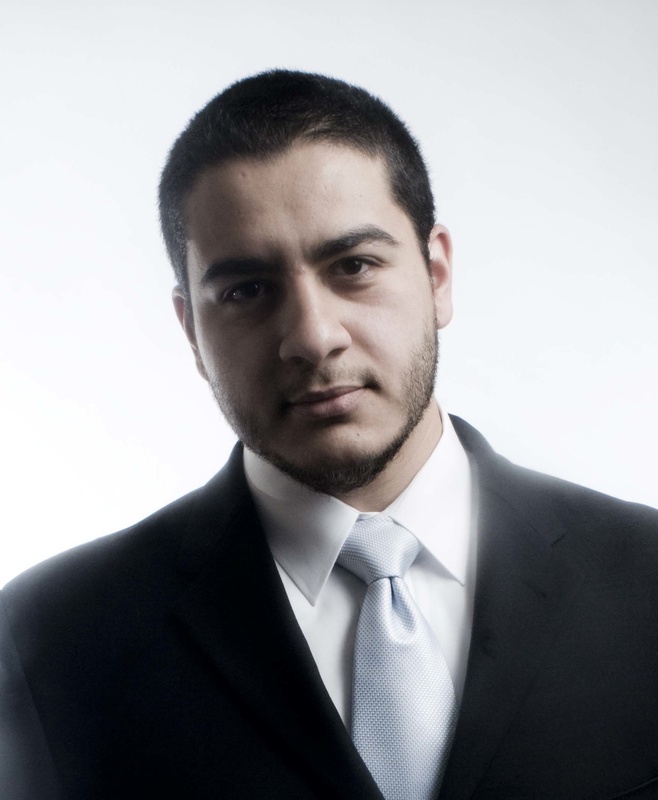 According to MLive.com, El-Sayed was one of 32 students from around the nation chosen as a Rhodes Scholar for 2009, by which he is pursuing a doctoral degree in Public Health at the University of Oxford. The Rhodes Scholarships, initiated in 1902, are the oldest international fellowships. According to the Rhodes Trust Web site, selection committees seek excellence in qualities of mind and person that offer the promise of effective service to the world. The Scholarships have a comprehensive set of criteria where intellectual excellence is required, but not in isolation from other qualities such as being physically and morally capable of leadership. (Sam Wolson/photographer) El-Sayed said he plans to enter a career of research, teaching and then clinical practice. He is also a medical student at the University of Michigan where he completed his undergraduate schooling, according to the Huffington Post where he is a contributing writer. He said if people want to be average, they should do what everyone else is doing. But El-Sayed said he doesn’t know that his ambition was always well-targeted in the past. Not always a great student in middle school and high school, he said he thinks it wasn’t until college that he was able to point his ambition toward worthwhile goals. He said his father, who moved to Michigan from Egypt in 1979, always expected the most from him and encouraged him to do better. “I never really believed it until I got to college and saw that I could do a lot better and be really good at this,” he said. El-Sayed also realized something else from college. He described it as a major turning point in his life. “When I started college, I was not particularly religious and I didn’t want anything to do with the Muslim community,” he said. But then in the winter of 2004 during his freshman year, El-Sayed said, something clicked. “All of a sudden I had a really strong re-ignition of my understanding of my relationship with Allah subhanahu wa ta’ala [God the glorious and exalted] and my relationship with people,” he said. He said the culmination of emptiness from not having a relationship with his creator was eye-opening. El-Sayed said when he realized the importance of a relationship with God, he also realized the value of strong relationships with people who saw that importance. El-Sayed said one of his favorite activities was working with the Michigan Muslim Youth Council, where he said he enjoyed the opportunity to work with youth in various formative times of their lives. Perhaps El-Sayed appreciated those formative times because he had experienced his own. Living on just 10 to 15 pounds a day, with a half liter bottle of water priced at about 2 pounds, El-Sayed said he became more aware of his privileges in America and his opportunity to address issues of social justice. “I’ll leave Egypt and go back to my upper middle class American life and many other people won’t. So insofar as education is an opportunity to address that issue for some people, then I better take this thing seriously,” he said. 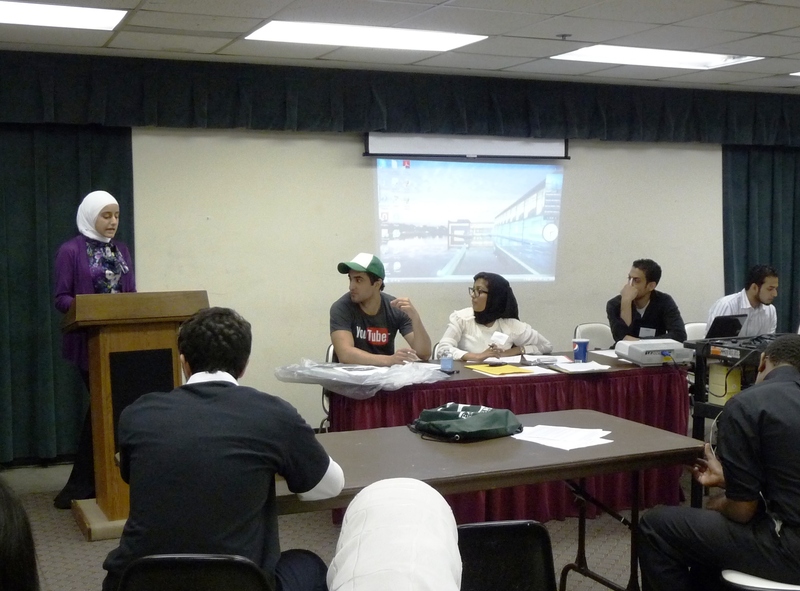 El-Sayed also emphasized the opportunities that education provides for Muslims in America. “I think one of the opportunities that we have as Muslims in the U.S. is to pursue education to a degree that is unencumbered and uncompromised in whatever we want to do. I think we really disregard a huge ni’mah [blessing or loan] of Allah subhanahu wa ta’ala [God the glorious and exalted] if we don’t take advantage of that to its fullest,” he said. Although education is important to him, El-Sayed said he tries not to be a bookworm. He served as vice president of the U-M Muslim Students’ Association and president of the Muslim Medical Students’ Association. He was also chosen to be the student speaker at the 2007 U-M commencement. El-Sayed said he also loves lacrosse, a game that he has been playing for almost 15 years. He described it as one of his passions and was even starting defenseman on U-M’s lacrosse team. He said his other passions include politics and social science, medicine and traveling. He said he also loves epidemiology. “It’s kind of my favorite thing to do. I just find it an incredible way to rather objectively categorize disparities and inequalities in existence in a very poignant and precise way,” he said. El-Sayed categorized three things that he thinks are important for achieving goals: purifying intentions, seeking to rectify one’s relationship with God and prioritizing what’s important, such as family. In regards to his biggest achievements, El-Sayed said he doesn’t know that he’s achieved anything yet. About his future plans, El-Sayed said he still has a lot of education to go. The Muslim Inter-Scholastic Tournament, or MIST, was held Saturday, May 22 at Wayne State University for its annual Detroit regional tournament. (Aysha Jamali/CAIR-MI) Tesneem Alkiek, a junior at Carman-Ainsworth High School, explains her Digital Art/Photography submission to the judges. MIST is a program of regional competitions and workshops for local high school groups who then have the potential to move on to national tournaments. The tournament, organized in part by WSU’s Muslims Students’ Association, consisted of a series of competitions lasting from 9 a.m. to 9:15 p.m. The students, representing various Muslim organizations, milled around WSU’s Student Center as they waited for competitions to begin. Competitions included math, poetry, fashion design, art, Islamic knowledge and community service. Vernoica Choe, a senior from Grand Blanc High School, was participating in four competitions. Each year, MIST chooses a theme, which focuses the competitions on one topic. This year’s theme was “Lantern of Modesty: Reflecting the Light from Within” and focused on the saying of the Prophet Muhammad (peace be upon him) that the innate character of Islam is modesty. The digital art and photography competition featured different interpretations of the theme. One contestant used a verse from the chapter of the Quran titled Light, another incorporated anti-discrimination and yet another photographed a woman wearing hijab. Many of the students were participating in multiple competitions. “I’m a part of the MSA and there’s a lot of stuff that I felt I could do a good job in so that’s why I entered,” said Abdulla Tarabishy, a freshman from International Academy who competed in digital art and business venture. MIST’s mission is to bring high school students together on a regional and national level to develop leadership, promote communication, and inspire creativity while gaining a deeper understanding of Islam and Muslims, according to its Web site. Siddiqi said she came up with the idea in 2001 when she was a freshman at the University of Houston. She said she always enjoyed competitions and felt there needed to be similar competitions to provide students the opportunity to learn about Islam. “High school is like the microcosm of the society, and that’s the one place where you will find every type of Muslim,” she said. According to her, it can be the last chance for people to get exposure to Islam. She said competitions like MIST can attract students to participate in MSA and learn more about Islam in a fun environment. “It’s a way to get people’s foot in the door,” Siddiqi said. Students were certainly having fun during Quiz Bowl, one of the most anticipated and intense competitions of the day. The Quiz Bowl round between Plymouth-Canton Educational Park and Grand Blanc High School was witnessed by an audience of around 50 people in a muggy and cramped room. Excited chattering hummed in the background as the judges explained the rules. (Aysha Jamali/CAIR-MI) Plymouth-Canton Educational Park (far table) and Grand Blanc High School (near table) battle in the third round of Quiz Bowl. Contestants, eager to be the first to answer a question, slammed their palms on the tables in front of them. Each team argued for their right to answer, and cheers and chants sounded when each point was earned. The scholarships for first, second and third place winners were provided by Fawakih Institute for their summer programs The Divine Names and Prophetic Eloquence. First place winners received full tuition to both programs, second place received a $400 scholarship to any program and third place received a $300 scholarship to any program. Information on the winners can be found at http://getmistified.com/detroit/. By the end of the day, the organizers from MSA were already looking to next year’s tournament and had ideas for improvement, such as more volunteers and better publicizing. The East West Link, a weekly community English and Urdu newspaper with roots from 1997, runs an internship program led by Bureau Chief Masood Farooqi. Farooqi, a long-time Canton resident and former Ford engineer, said he started the paper to continue the legacy of his grandfather, who was a major journalist all his life. “So after my separation from Ford, I seriously worked on it for the last few years, built a lab before and started the program,” he said. (Asif Rohela/East West Link) Masood Farooqi introduces guest speaker Nadeem Siddiqi before he speaks to the interns in the East West Link lab. In 2009 the “formal” internship began with the publishing of the first article in June, according to Farooqi. He said about 22 students have gone through the program, and there are about 13 students currently interning from cities such as Canton, Novi, Troy and Brownstown. Farooqi runs the program from his home in Canton where he has set up work stations for the interns to use weekly. Khan, editor and program coordinator for the East West Link since January, said she leads the meetings where the interns also research global issues, come up with pieces of interest and assign stories. “It’s definitely improving my writing skills, and I don’t always have to write about what they tell me,” said Areeba Raza, an East West Link intern since November and senior at Canton High School. She said she can present her own story ideas to the editors at the weekly meetings and pursue them if they’re approved. Taking field trips and learning from guest speakers is also a part of the internship. Khan said interns met local politicians at the Michigan Democratic Party Caucus, such as Gary Peters and Rick Snider, and also regularly meet representatives from local organizations, such as the Institute for Social Policy and Understanding Executive Director Shireen Zaman. Khan said the internship has helped her gain confidence and pursue her interests in journalism. Ammaar Husain, also an East West Link intern and senior at Salem High school, said he has been interning since the beginning of the year and has written about eight or nine articles. “I’m just participating for the fun of it,” he said. Farooqi hands over a lot of the newspaper’s responsibility to the interns, according to Khan. The seven to 10 interns who regularly attend meetings are responsible for getting stories and submitting them to Khan by Sunday. She then edits, formats and sends them to Farooqi to be printed. Although not many of the interns are interested in pursuing journalism as a career, Khan said, it does provide an avenue for their different interests. “Most [interns] usually have science backgrounds but are also interested in public policy,” she said. Nadeem Siddiqi, a Canton resident and Muslim American Society-Youth Detroit worker who was invited to speak to the interns, said he thinks the internship would be beneficial regardless of what profession the interns pursued. “The main theme [of the talk] was the importance of communication and the fact that it is something that we use in all aspects of our lives and every single thing that we do,” Siddiqi said. He said he emphasized to the interns the need for them to maintain a purpose and relevance to their writing. “I think that it’s a good place for them to learn, and I would hope more and more people would go through this process and learn from it,” he said. Farooqi said the biggest challenge for the internship is securing financial support. Farooqi said the East West Link used the Urdu Times as a vehicle, but separated the internship from it to stay non-profit. He said he’s presenting the internship program to various organizations in an effort to gain their support. “I would say because of the cause we are working for, the Muslim cause, our media community should work together,” he said. Interns rotate in and out of the program and three new students have recently joined, according to Raza. She and Husain both said they would recommend the program to others. The Muslim American Society of Detroit brings opportunities together to learn about Islam and work towards social justice in a nonjudgmental atmosphere, said Assistant Director of MAS Youth Detroit, Khadigah Alasry. According to www.masnet.org, MAS is a non-profit Islamic organization started in the early 1960s, designed to bring reform t o individuals, families and societies. MAS does not require Muslims to be from a certain sector or ideology of Islam. “In some organizations you have to be a certain way, talk a certain way,” Alasry said. Alasry became involved with MAS three years ago when she started attending monthly events sponsored by the group. After being recruited into the fundraising committee, she was gradually nominated as assistant director for Detroit’s youth branch. Part of her job involves organizing activities and events in Michigan to help spread the message of Islam and help the youth better implement faith in their everyday lives. Alasry operates on a national level with other MAS chapters for ideas and encouragement. MAS strives to do more grass roots work with younger people to give them a better and balanced understanding of Islam, Alasry said. “Religion isn’t something you do in Jummah or on Eid. It’s something you do and implement in daily life,” she said. Alasry said MAS sets up different avenues for people to learn about Islam. One program is called Connects – it brings people from different communities together to help better understand and practice Islam. MAS Youth – for ages 15-30, caters towards the needs and capabilities of a younger audience. Last year MAS sponsored the “Voice for Change” campaign, bringing together non-Muslims and Muslims alike to spread a positive message through poetry, rap and music entertainment. MAS sponsored a five-major city tour of Outlandish, a Danish multi-faith based music group, to help spread inspirational messages to the youth. MAS Youth participates in monthly community service activities, including cleaning up homes with Motor City Blight Busters and volunteering during the Day of Dignity in Detroit. Alasry said MAS is important because it is a goal-oriented organization that strives to do high quality professional work. The spiritual goal of MAS is to move young people to strive for God-consciousness and social justice and convey Islam with utmost clarity. Alasry said Muslims need to use religion to be a part of the larger group of Americans, to help erase negative stereotypes about Islam and Muslims. “We need more Muslims out there in the media who are more convincing and appealing – presenting Islam in an impartial and positive way,” she said. To get involved with the MAS Youth chapter of Michigan, contact Khadigah Alasry at assistant.director@masyouthdetroit.org, and visit the MAS Youth Detroit chapter’s website, www.masyouthdetroit.org.